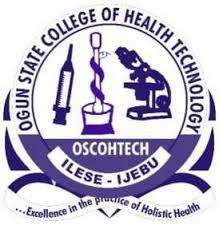 The Ogun State College Of Health Technology, OSCOHTECH Second [2nd] Semester Examination Date for 2017/2018 Academic Session Out. This is to inform all students of the Ogun State College Of Health Technology, OSCOHTECH that the second semester examination for the 2017/2018 academic session has been announced. The Second Semester Examination shall commence on Monday 30th April 2018, Challenges of Bursary Clearance and School Fee's will continue to be attended to by Sunday 29th April 2018 by 4pm at the Bursary Department. We wish you success in the forthcoming Second Semester Examination.